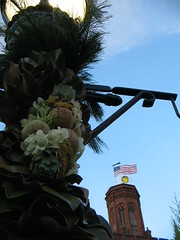 Are those artichokes adorning the Christmas lamppost hangings in the Ripley Garden behind the Castle? 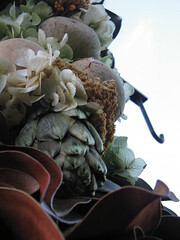 Why, yes, I do believe those are artichokes, and some kind of round, hard-shelled fruit! It’s certainly a change from boughs of holly and such.